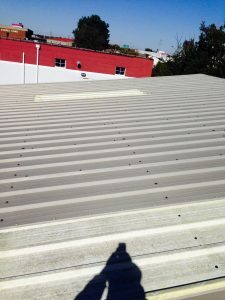 The roof standing atop your commercial building is much more than a simple barrier protecting you and your staff from the elements. It’s actually a complex system of protective coatings, runoff control components, and sub-roofing. A problem with any one of these components can quickly affect the others, causing extensive damage and threatening the structural integrity of the roof itself. The best way to avoid this? Address issues while their still small problems through professional roof repair in Richmond, Chesapeake, or any of the surrounding areas. Our team here at the American Enviromental Services is happy to provide such a service. No matter the size or scope of your commercial roofing problem, we’re prepared to address it. Our team of highly trained roofing technicians knows exactly what to look for, how to assess the extent of an issue, and formulate a plan on-the-spot to fix it. Upselling is not something you’ll have to worry about with us. Our estimate will be for the things needed to effectively address the problem, and nothing more. When it comes time to do the actual work, you can be assured that we’ll do all that we can to respect your place of business and not intrude on your daily activities. If you happen to see any of these troublesome signs, call us right away. 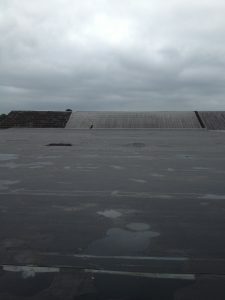 Don’t let your commercial roofing problems grow from small issues to expensive and extensive repairs. We at AESC can quickly spot those problems and address them effectively, ensuring that your business’ operations can go on uninterrupted. To obtain a free quote for your commercial roofing repair needs, call our office today at 1-804-306-1044. You can also fill out our online contact form, and someone from our staff will get back to you at your earliest convenience.